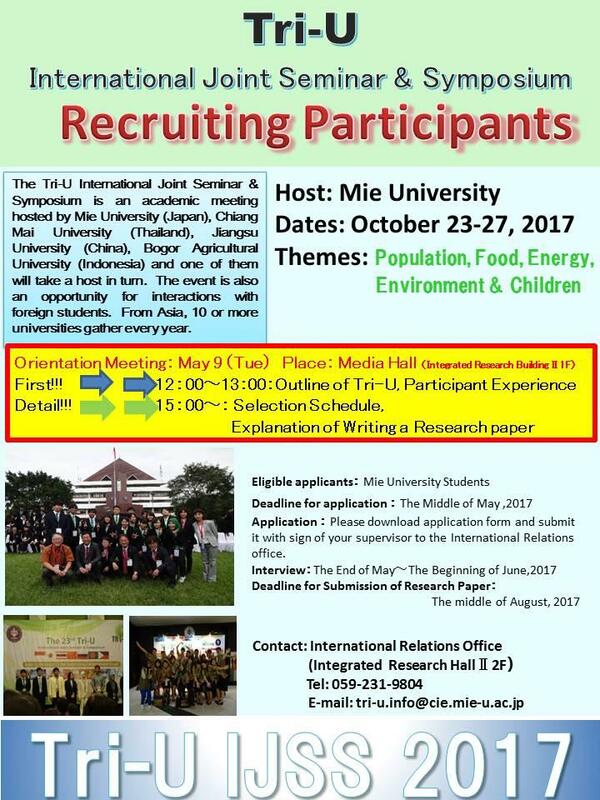 Mie University | Tri-U International Joint Seminar & Symposium Orientation Meeting!!! Tri-U International Joint Seminar & Symposium Orientation Meeting!! !